Home / How To Buy a Watch / Is it a Good Investment to Buy a Pre-Owned Watch? Is it a Good Investment to Buy a Pre-Owned Watch? Luxury watches are known to maintain a good amount of their value over time. A brand new luxury watch will of course be more expensive than a pre-owned one, but any of the two will provide you with the cozy and exciting feeling that comes with owning a luxurious piece of machinery. Furthermore, both will have and maintain an important resale value. 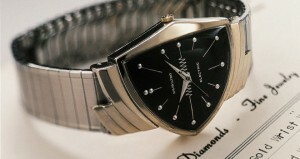 Watches are cherished by many; as a matter of fact, watch collecting is a well known hobby among connoisseurs. Collectors buy and sell pre-owned watches frequently to update their collections and are well aware of the fact that a pre-owned watch has an added character and dimension. 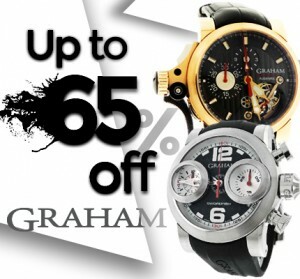 The most important thing is to get the perfect watch at the best possible price. High-End watches come from top designers and are undoubtedly the most expensive ones. 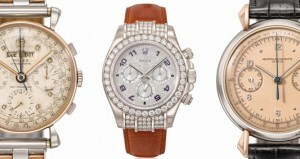 They will maintain their value whether they are pre-owned or new, making these watches are great investments. The lowest price range for a watch like this starts at $10,000, and some examples come from brands such as Breguet, A Lange and Sohne, Franck Muller, Piguet, Alain Silberstein, Blancpain, Vacheron Constantin and Patek Phillipe. If you want to see some pictures of these high end watches, you may search the internet for watches such as the Joaillerie 101 Manchette from by Jaeger-LeCoulture, Grande Complication from Blancpain, or the Big Bang Chronograph from Hublot. The luxury watch category encompasses most of the luxury watches, including the ones with trend setting designs. These are watches with a very good resale value, even if they are pre-owned, used or new. These watches start at $2,000 and can go up to $20,000; they come from brands such as Breitling, Rolex, Omega and Cartier. A basic or entry level luxury watch usually follows ongoing trends that have been set by more expensive luxury watch brands. 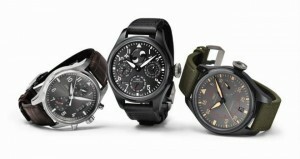 The price range for these watches is usually from a $1,000 to $2,000, and they are made by well known and loved brands such as Oris, Fortis, Movado and Hamilton. Previous: Que es el Mercado Gris?